Through the Chisinau Pledge of April 2017, member countries of the South-eastern Europe Health Network (SEEHN) committed to advancing health, well-being and prosperity in south-eastern Europe within the framework of the United Nations 2030 Agenda for Sustainable Development. These 9 countries will come together again in Tel Aviv, Israel, on 10 July 2018 for a SEEHN health ministers’ meeting to further strengthen their collaboration and determine the next steps for joint action. The meeting will cover key technical issues including health system strengthening and primary health care, with a particular focus on population ageing and on vaccination as a critical public health intervention. It will also follow up on the commitments of the previous SEEHN meeting in February 2018. The health ministers will discuss what assistance and follow-up action may be needed to ensure continued, efficient cooperation among SEEHN countries. Additional objectives of the meeting are to strengthen the implementation of the International Health Regulations (2005) and emergency preparedness in SEEHN countries, and to discuss the outcomes of the high-level regional meeting in Tallinn, Estonia, “Health Systems for Prosperity and Solidarity: leaving no one behind”. 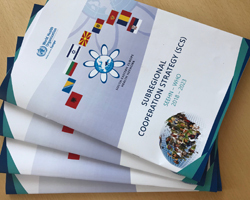 Finally, the health ministers will review country-specific and SEEHN joint statements for the upcoming session of the WHO Regional Committee for Europe in September 2018.